mashabiki wanachagua: prettiest person in the world! what is iu's inayopendelewa color????? 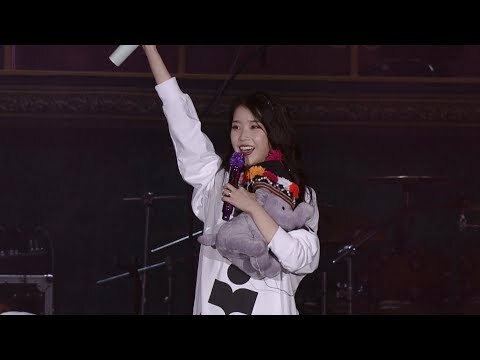 [CONTEST] Post your wish for IU's 7th Debut Anniversary. All participants will be aliyopewa 15 props. Thank wewe for participating. “Persona” is a new short film project that will feature IU in four different stories told kwa four different directors: Im Pil Sung, Lee Kyung Mi, Kim Jong Kwan, and Jeon Go Woon. IU will play an entirely different character in each of the four films, which were all inspired kwa the actress. IU recently attended a graduation of one of her mashabiki in order to keep the promise she made with her a mwaka ago. It’s now been revealed that the graduation gift she prepared for the shabiki was worth approximately $15,000 USD. On this day, she called up the shabiki onto the stage and congratulated her in person. She even performed a few songs for the students. IU will reportedly be starring in tvN‘s upcoming weekend drama, Hotel del Luna, which is set to begin airing this summer. Hotel Del Luna is a ndoto drama that revolves around a hotel with wandering spirits. The glamor of Hotel del Luna can only be seen kwa the souls who cannot leave this world. To the average person’s eye, it is simply a shabby old hotel located in the moyo of Seoul. South Korean songstress IU returned Wednesday (Oct. 10) with a new single to commemorate her 10th mwaka in the industry. “Bbibbi” is a groovy alt-R&B track that frolics along with a deadpan message aimed at haters who have invaded her life with their negative commentary. The songstress will be releasing her new remake album “Flower Bookmark 2” on September 22, and she shared the song “Autumn Morning” on September 18 at 7 .a.m. KST as a gift to mashabiki for her ninth debut anniversary. The song quickly rose to the juu of many realtime charts. IU is reigning over the charts with her pre-release song! The singer-songwriter’s new track “Autumn Morning” was released ahead of her new remake album “Flower Bookmark 2,” which is due out on September 22. The song was shared as a gift for mashabiki on IU’s ninth debut anniversary. Wanna One topped this month’s brand reputation rankings with a total score of 17,658,317. BTS followed up in sekunde place with a total score of 6,915,325, while Red Velvet came in third place with a score of 6,238,027. 151129 Touching speech IU made before imba Good siku at Busan concert! !